The Health Ministry has dismissed reports about cases of a meningitis epidemic as the country has recorded 61 deaths due to scorching temperatures since Saturday. Amr Qandil, head of the ministry’s preemptive medicine department, said the total of cases counted by the ministry stand at only four. 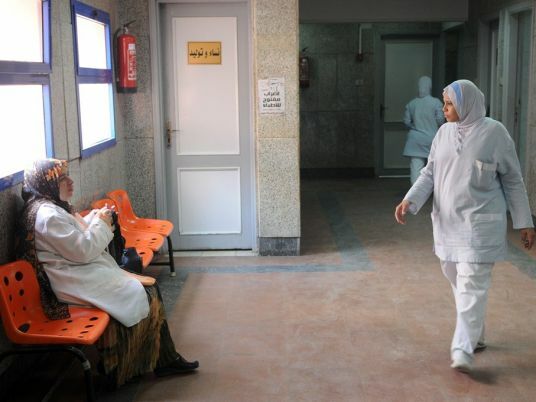 He told Al-Masry Al-Youm that “Egypt’s annual meningitis infection rate stands between 40 and 45 cases” and “Egypt is one of the least infected countries”. Qandil stressed that the ministry had always made sure to vaccinate school kids and travellers heading to infected countries. Weather forecasters are predicting high temperatures to last until mid August. The ministry has urged elders and people with chronic diseases to abstain from leaving home except for emergency.